OUT/LOOK & The Birth of The Queer is an exhibition, publication, event series and website that opens in Fall, 2017 to celebrate the 30th anniversary of OUT/LOOK National Lesbian & Gay Quarterly. 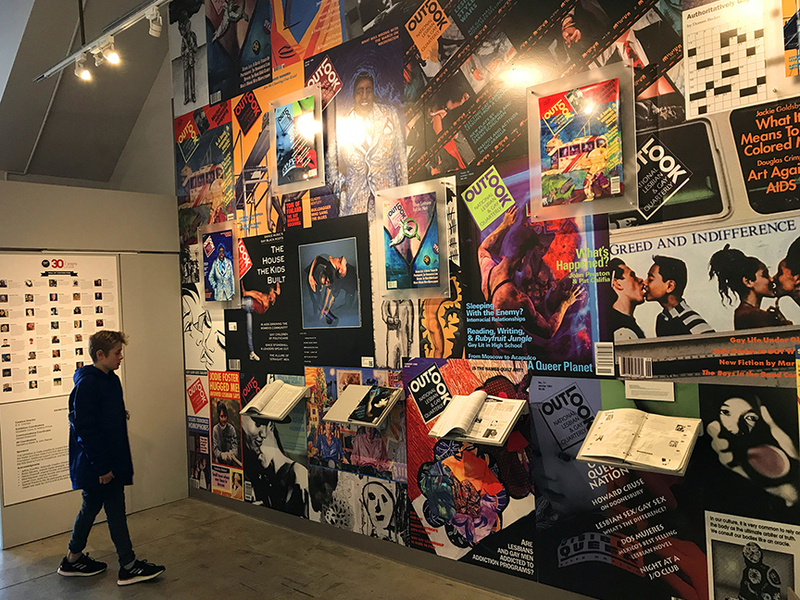 The exhibit takes place at the GLBT History Museum in San Francisco. At the core of this project is an invitation that was issued at the start of 2017 to 38 participants to create new works in response to one of the seventeen OUT/LOOK issues. This diverse group includes writers of all kinds, visual artists, performers, curators, activists and two organizations – all belonging to the two generations of queers that have grown up since OUT/LOOK’s 5-year life span in the late ’80s and early ’90s. Each participant has been asked to dive into the OUT/LOOK archive, to think about queer history and use their matched issue as a score for creating something new and provocative. The work that emerges from this process is accessible on this website, as part of the exhibition and in a commemorative new issue of OUT/LOOK. Listen to the exhibition audio tour. 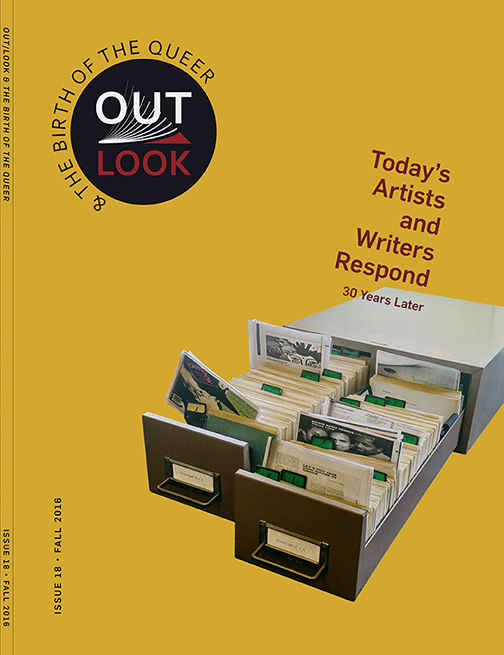 OUT/LOOK was a unique magazine published from 1988 through 1992. It was the first publication after the mid-1970s that brought lesbians and gay men together after years of separation. It wrangled with complex gender roles, was racially inclusive, addressed politics and culture alike, embraced topics that were controversial or had not yet been articulated, and emphasized visual material along with scholarly and creative writing. In a period when LGBT Studies and queer theory were coalescing but not yet established in the university, OUT/LOOK built a bridge between academic inquiry and the broader community. It left a deep impact on LGBT community and beyond, sparking many national debates. 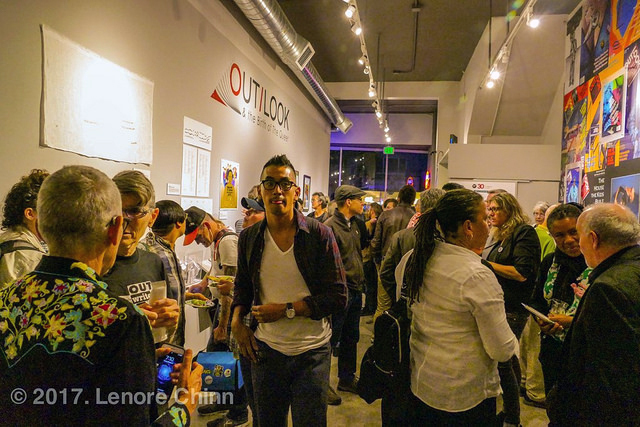 OUT/LOOK also created the influential OUTWrite conferences; the first one, held in San Francisco and attended by over 1200 people, featured keynote speakers Judy Grahn and Allen Ginsberg. The impact of OUT/LOOK and OUTWrite is still discussed and its articles are still taught in college classrooms across the country. 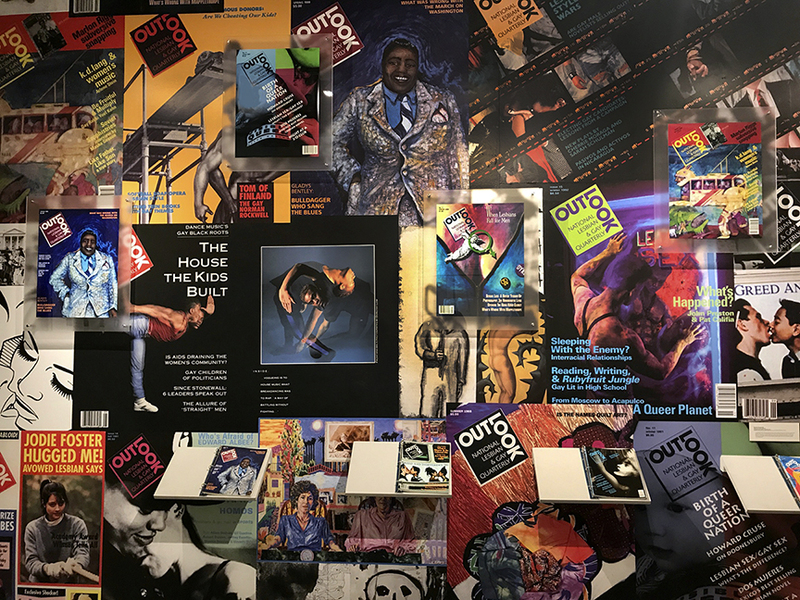 The OUT/LOOK archive is housed at the GLBT Historical Society in San Francisco. We invite all of you who had a relationship to OUT/LOOK or OUTWrite back in the day to share your thoughts 30 years later. Were you an author, artist, editor, adviser, volunteer, graphic designer, OUTWrite organizer, panelist or an avid reader? What do you remember? Did OUT/LOOK help you come out? What are your reflections in hindsight? What impact did OUT/LOOK have on your life? What are you doing now? And just in case you’ve misplaced your hard copies, digital OUT/LOOK is now available at the Lesbian Poetry Archive. We also invite those of you who are encountering OUT/LOOK for the first time to share your first impressions, your insights and criticism, your ideas about queer history. Send your reflections, photos, drawings, gossip, personal anecdotes about OUT/LOOK and OUTWrite – all of it – to this website. Also be sure to check out OUT/LOOK & The Birth of The Queer on Facebook.